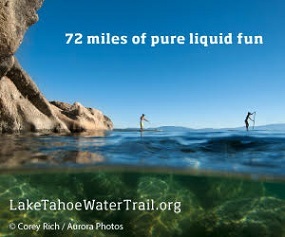 Dr. Gaffney received the coveted Tahoe Adventure Film Festival Golden Camalot in 2014. And, in turn, diagnosed Todd Offenbacher as bi-polar since TO is obsessed with the Arctic and Antartica. Squallywood documents over 150 of the most technical ski/snowboard lines at Squaw Valley. Coined “the Squaw Valley bible,” it is largely recognized as the best ski resort guide ever written. In fact, it’s so popular, the bible book has been turned into a real life action thriller with Gaffney’s ski-the-book clinics. The Squallywood Clinics provide hard-core skiers and riders with the opportunity to ski the book with the guy who wrote the book. Robb has created two different clinics to match ski levels: Squallywood Clinic Light and Squallywood Clinic Supersized. 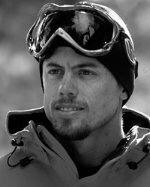 Robb has been a featured skier in over 10 ski films including those of Matchstick Productions, Scott Gaffney Pictures and Omen Productions. He currently practices Psychiatry near the base of Squaw Valley. Anyone who has had the privilege of watching the doctor ski can attest to his remarkable ability to make the sketchiest, most unthinkable lines look as if they were put there for us to ski. 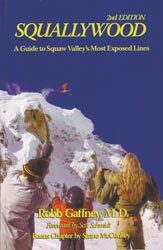 Squallywood – A Guide to Squaw Valley’s Most Exposed Lines by Robb Gaffney, MD. Cross-references to 35 movies in which a Squaw line is skied, with a guide to finding those specific descents in each film. Chapter called “Falling into the White”, written first hand by two local skiers who had an epic outing one morning while skiing the forbidden gnarled terrain under the tram. One was caught in an avalanche and, unconscious, was carried down over 800 vertical feet of cliffs and chutes. The other was forced to put his own life on the line and decide whether to ski one of the hardest routes on the mountain after it had been stripped of snow, to rescue a buddy he wasn’t even sure was still alive. This was just the start of their epic tale. In addition to “Difficulty”, “Hero Factor”, “Fun Factor”, and “Movies” that were used to describe each line in the last edition, Gaffney has added “Pitch”. Each line is measured by a surveying tool to measure degrees of steepness. Diversified contributing photographers to gain a more grass roots feel. Those photographed in the book are not necessarily the pros but local people passionate about the mountain. New color photo section documenting the younger generation skiers and snowboarders on the mountain.